During the 7th Annual Archaeology Week (Journées nationale de l’archéologie) from June 17-19, 2016, France's Ministère de la Culture et de la Communication will open the doors to over 600 sites with at least 1,000 events planned for the occasion, in places like Angers, Cleon, Le Mans, Lille, Montauban, Montelimar, Mouroux, Nancy, and Saint-Dizier Beire-le-Châtel. This year, the event goes global, with the Twitterfest, "ArcheoWeek", beginning Monday, June 13 and continuing through the end of the festival on Friday, June 17. The International Catacomb Society is a willing and active partner in this initiative, to manifest our support for the work done across borders and cultures to study and preserve ancient sites. Monday, 6/13: #ArtAW. Topics include: paintings, precious objects, gems, ceramics, fibulae, and worked stones. Tuesday, 6/14: #BatiAW. Topics include: Religious edifices, castles, menhir, ruins, and all else that has to do with building techniques and construction. Wednesday, 6/15: #BestiaireAW. Topics: Animals, Zooarchaeology, fossils, representations of animals. Thursday, 6/16: #FuneraireAW. Topics: Anthropology, mummies, necropoleis, funerary rites, burials, sanctuaries, sarcophagi, skeletons, grave markers. Friday, 6/17: #TeamarcheoAW. Topics: Archaeologists, research in course, institutions, excavations, and all the nitty-gritty in the field! 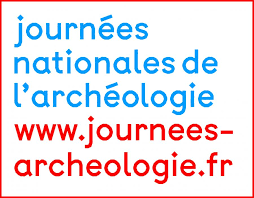 Should you be so fortunate to find yourself in France at this time, you can use the online calendar to participate live in this year's Journées Nationales de l’archéologie.